Help your hard-working air conditioner keep you cool this season and the next when you give your unit a much-needed scrub down. Air conditioners are our saving grace during sticky summers—there’s nothing quite like the relief of walking into a room that has the cool air blasting after hours in unrelenting 70-degree-and-sunny heat. But while we appreciate our ACs, we don’t often give them the treatment they deserve. Keeping your air conditioner clean not only benefits its efficiency, but it also improves the overall air quality in your home. Follow these simple steps to get your unit in tip-top shape. It’s incredibly important to start by unplugging the air conditioner before you even touch any cleaning tools—not doing so could put you at risk of an electrical shock. 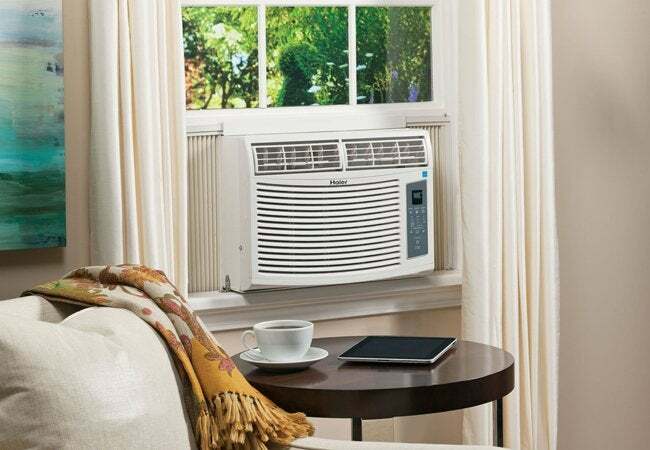 Once you’ve disconnected your unit, use a moist, soft cloth and a little bit of dish soap to rub off dirt or stains on the front and surface of the air conditioner. Avoid using spray cleaners on the front of the air conditioner, and don’t put too much water on the cloth, as it can drip into the unit and cause damage. When you’re done with the filter, check the fins to see if any are bent; if so, use a fin comb to straighten them out. The fin blades are extremely sharp, so proceed with caution when working with them. Use the brush attachment to vacuum away any dirt or debris covering the interior evaporator or condenser coils. For a more intensive clean, spray specialized coil cleaner (found at your local hardware store) on the coils, and let them soak for approximately 10 minutes. Then, rinse the coils off with water, but be careful not to get water on any nearby electrical parts of the unit. Next, move on to the outside of the unit and clean the exterior condenser coils with the brush attachment. 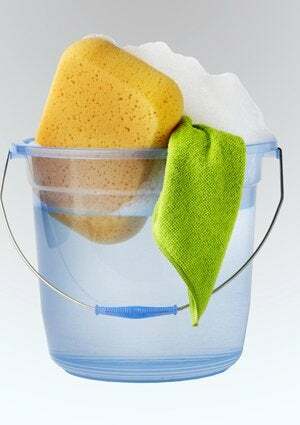 Gently wipe down the fan blades with household cleaner or a soft cloth. Make sure everything is fully dry, and then carefully reassemble your unit. Although your air filter should be cleaned every month during the warm-weather season, you might also consider completing this deep-clean process at the beginning and end of each summer to extend the life of your air conditioner.